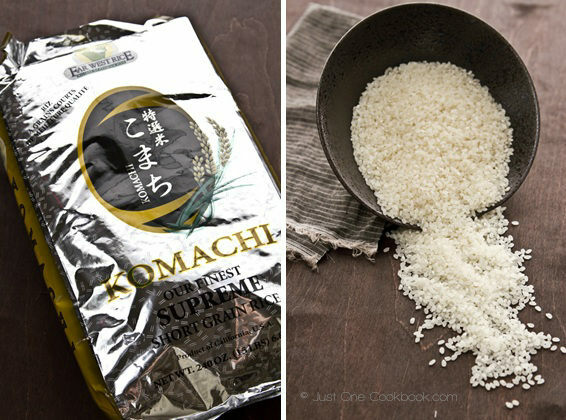 Today I am partnering with Far West Rice to give away this really delicious Komachi Supreme Short Grain Rice. This month Just One Cookbook turned 2 year and 2 months old (whoo hoo!)!! 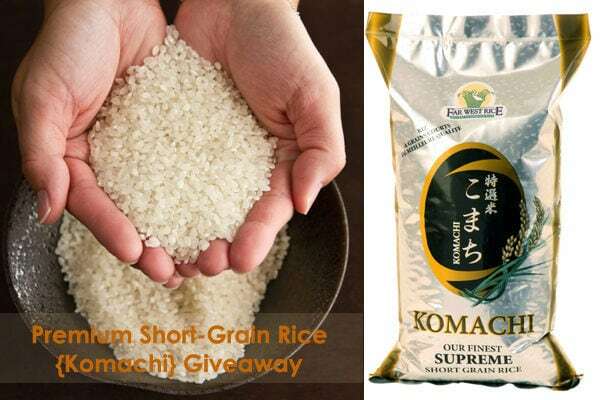 My friends at Far West Rice are helping me celebrate the milestone by giving away their finest Komachi Supreme Short Grain Rice (two (2) lb bag) to two (2) winners! Now here’s your chance to win to taste this amazing rice! The Rules: This giveaway is open for US and Canada residents only. The giveaway will be closed on Monday February 25, 2013, 11:59 pm PST. Entries that do not follow the entry requirements will not be considered. Two (2) winners will be randomly selected via random.org and announced at the end of this post and contacted via email the next day. Full disclosure: This giveaway is sponsored by Far West Rice. 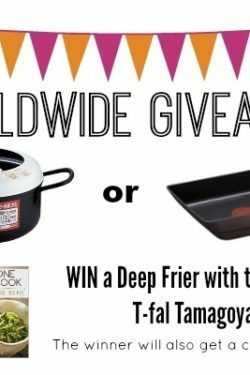 Just One Cookbook is not being paid or given any compensation for this giveaway. To enter, leave a comment on this post and tell me your favorite rice dish. You can enter your answer to this question every day. Bonus 1: Like Far West Rice on Facebook and leave a new comment on this post saying you are a new follower or already a follower. Bonus 2: Like Just One Cookbook on Facebook and leave a new comment on this post saying you are a new follower or already a follower. 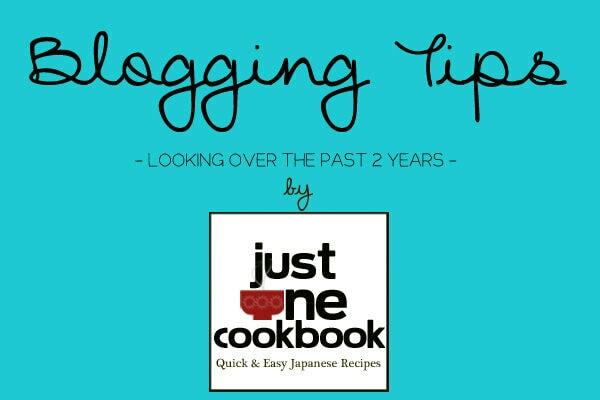 Bonus 3: Follow Just One Cookbook on Google+ and leave a new comment on this post saying you are a new follower or already a follower. 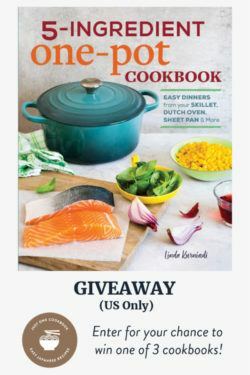 Bonus 4: Follow Just One Cookbook on Pinterest and leave a new comment on this post saying you are a new follower or already a follower. Bonus 5: Subscribe to Just One Cookbook by Email and leave a new comment on this post saying you are a new subscriber or already a subscriber. Congratulations to #278 (Allison) and #534 (Rin)! I’ll be contacting you shortly. love brown rice w onions and celery sauteed in a little butter. then salt and pepper. yum! My favorite rice dish is plum and tuna rice. I looooooooove some good fried rice! I liked Far West Rice on Facebook. I’ve already liked Just One Cookbook on Facebook. I liked Far West Rice on Facebook! I’m following Just One Cookbook on Pinterest. My favorite rice dish is oyakodon! or maybe unagi and eggplant don?…..or maybe sushi rolls? Lol I can’t pick a favorite! I love them all too much!!! I don’t have a Facebook, but I’m subscribed already by email. I like kimchi fried rice. My favorite rice dish is by far katsu donburi ! Yum ! I enjoy the fried rice with the teppanyaki. My favorite rice is matsutake rice! I subscribe to Just One Cook Book via e-mail. I can’t think of my favourite rice dish cause they’re all great. I really like a nice mushroom wild rice mixture as a side for pork chops or baked chicken breast. My favorite rice dish is Matsutake Gohan!!! Soooo ono!! I look forward to the fall season so that I can purchase the fresh matsutake mushrooms and make it for my husband. Does Sushi count as a rice dish? Haha. 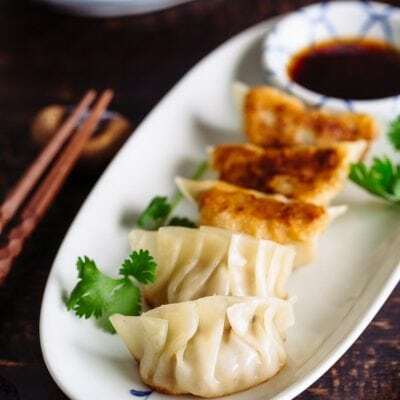 If not, I’ll have to say that zhongzhi (that’s what it’s called in Chinese; it’s basically rice wrapped in bamboo leaves. I’m sure Japan has a different name for it.) or sticky rice. I LOVE your blog and liked it on FACEBOOK. Good rice is so essential to Japanese cooking. My favorite rice dish is fried rice with ham or chinese sausage. So good! 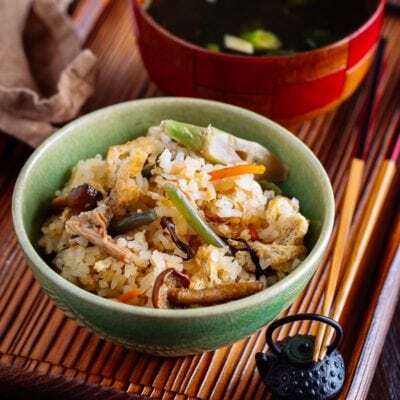 We love making egg rice when we have Sukiyaki! And of course, good rice is essential for sushi. Love your blog. I LIKED Far West Rice on Facebook! Thank you for your delicious recipes and recommendations. So hard to pick just one rice dish, but I’ll say ochazuke! Arroz Caldo – Filipino rice porridge with chicken, and garnished with fried garlic, spring onions, fish sauce and calamansi. I follow you on Pinterest and by email. Onigiri is one of my favorites. 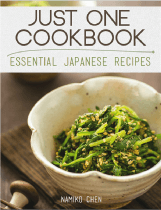 Just liked Just One Cookbook and Far West Rice on FaceBook! And I’m already a subscriber to the JOC! PS: I follow your site on FB, and subscribe to your emails (Bonus#s 2 & 5). I love Tanaki Gold rice, with chicken strips and soy sauce. I love the rice plain too!! Not just I love your webpages with recipe, but I also worship them. I have adapted no less than a dozen of these recipes. Thank you for all the hard and relentless effort. I love rice in any version, from plain to (bacon) fried rice. My secret comfort food from childhood has always been rice with tuna fish and shoyu! I like serving plain rice with meat and vegetables on the side. This way you can enjoy the taste of good rice. I like fried rice among many great rice recipes! My all time favorite Japanese rice dish is sushi (with tuna) wrapped in nori with wasabi, of course. My 2nd all time fav is Genmai Cha tea. Another fav is (Thai) Nuah Kang. 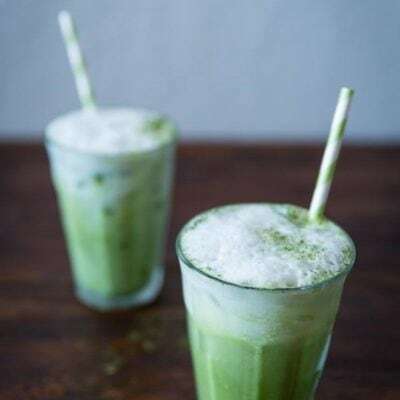 I also love horchata (cooling and refreshing mexican rice drink). I love onigiri made with furikake and filled with shredded slow-cooked beef then lightly fried with sesame oil. Heavenly! I like rice with every dinner meal and I love rice puddings. Since I am Asian I eat rice everyday what’s not to love but I love unagi don and I am a follower. Amazing! I’m a purest, nothing beats the texture and sweet fragrant taste of a good quality rice. Fried rice with bacon, green onions and eggs. I love fried rice, especially with bacon in it. I am a follower and my son loves onigiri oh I love salmon skin roll too!!! Love sushi! 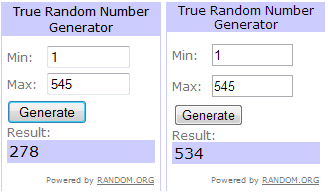 Thank you for a great giveaway! Sorry GROUP….. JUST PLAIN RICE…. with ANYTHING… Growing up you ate what you had presented. I am so glad I came across your site. 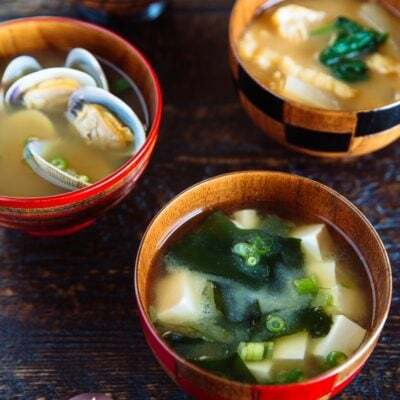 I’ve been wanting to make good authentic Japanese food with the integrity of its flavors preserved ever since my husband came back from Japan. I’ve been following your blog with excitement as a kid in a candy store. And am now a very happy subscriber. Thank you! My favorite rice dish in onigiri with umeboshi inside. Japanese comfort food! Breakfast rice bowl with sticky rice, nori, soft boiled egg, and sriracha mayo! my favorite rice dish is katsudon! My favorite dish is my husband’s fried rice. It is unbelievable great…. Hi! I like Far West Rice. I enjoyed making the cucumber wrapped sushi from this blog. i am a JUST ONE COOKBOOK follower on FB and love your recipes! My favorite rice dish is yaki onigiri! I know it’s not Japanese but I’m a big fan of congee! I’ve been known in the past to scoop freshly made, piping hot white rice into a bowl and devour it with a drizzle of soy sauce. =) But, if we’re talking recipes, fried rice is a favorite. I’ve liked Just One Cookbook on Facebook. Is there anything better than Oyakodon to give you that warm all over feeling, anytime of the year ! Hi Nami, I follow you on FB, Pinterest, Google+, and I am an email subscriber. My favorite rice dish is Maitake Gohan! Can you please feature that recipe sometime? I can’t get the Maitake mushroom here in my area…it is the only mushroom that I like actually. Is this rice similar to what I used to get called Mochi or sweet rice? I use the mochi rice in with my regular CalRose rice, maybe 1 scoop of mochi to every 3-4 of the Calrose. Makes it a little sticky. Thank you for another great give-a-way! I enjoy freshly made white rice alone. Its just delicious. My favorite way to eat rice is onigiri!!! Warm or cold it’s the best way to eat good rice! I love onigiri, I think its the best way to really enjoy the taste of rice! I love any rice dish. I eat rice with any meal from breakfast to supper. 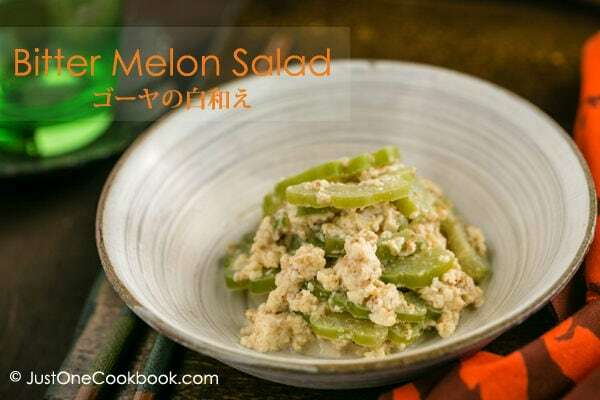 It can be just plain or with umeboshi or natto. We love to grill onigiri on our barbecue. Ochazuke, sushi and yakimeshi are some other favorite ways to eat rice. My husband’s favorite is rice with curry. I already follow Just One Cookbook on Pinterest! My favorite rice dish would have to be umeboshi onigiri! I subscribe to Just One Cookbook by email. I love the rice recipe with nametake mushrooms and edamame and ochazuke furikake and also plain rice wrapped in Korean style nori. Favorite rice dish is the basic nigiri with nori and umeboshi. We used be Tamanishiki fans, but now we enjoy Hitomebore. Can’t wait to try Komachi. Okayu. It is warming, healing, and comforting. In Hawaii we are always looking for rice that taste as good as rice in Japan. Thank you for featuring the Komachi Supreme. My favorite rice dish is chazuke! 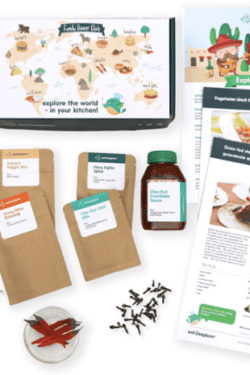 I am already a subscriber by email to Just One Cookbook! Simple white rice with furikake! Mmm! Maze-gohan, with lots of sliced egg on top! I also love congee. There was a restaurant in San Francisco that served a terrific fish congee, but they closed down last year. I was heartbroken, though I’ve made my own that was decent. It’s not the same as going to the restaurant, Yet Wah, on a cold, foggy San Francisco day and having a big bowl of hot congee. My favorite rice dish is shiraishi. 🙂 I think I can eat that every day and won’t get bored. Thanks for hosting this awesome giveaway. I can’t wait to try their rice. A friend taught me how to make sushi rice and vegetarian sushi, and I liked it so much that I make sushi rice in a Zojirushi rice cooker with dashi and a sushi vinegar I make for it. Yumm! So tasty! Not sure if risotto counts, but if it does my fave is butternut squash risotto. i subscribed just last week 🙂 why i didn’t do it sooner, i don’t know? I’m already an email subscriber to Just One Cookbook. 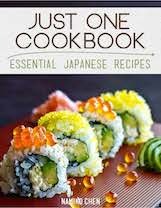 I am a subscriber of Just One Cookbook. Thanks. Love your typical asian fried rice! My favorite rice dish is gyudon, or Oyakodon! I also like unagidon…ha ha, do I sound like a rice bucket? New follower of Far West Rice! we are enjoying your recipes. My favorite rice dish is maze gohan. Favorite rice dish is duck green curry over rice. My favorite rice recipe is to make onigiri with umeboshi. I made onigiri a lot while living in Japan. It was a special favorite of my two boys, especially at undokai at their school. Okay. I’m pretty much convinced. I HAVE to try this rice to see how good it is. My favorite rice dish is gomoku chirashi. My best favorite dish is Tekka don. “Liked” Far West Rice. Haven’t tried their’s yet and will do so. Too many favorites to list with Japanese short grain rice! Top of the list would be preparing sushi rice with vinegar, sugar and salt to make California roll, maki-sushi, inari-sushi, futo-maki and of course nigiri sushi. Just “liked” Just One Cookbook. Oyako donburi is my favorite! Already like Just One Cookbook on Facebook. Already a subscriber to Just One Cookbook. Already a follower of Just One Cookbook on Pinterest. Unagi-donburi. Same answer as last contest! This rice sounds amazing, I’ll have to see if its available in Ontario! Sounds like it would be to cook with as well. Already follow JOC on Google+! Already LIKE JOC on Facebook! Already a follower of JOC on Pintrest! My favorite rice dish is a plain musubi…don’t even need the ume. Although, sometimes some kombu inside is really good! I am already a subscriber to JOC. Thx u! I love so many rice dishes, but one of my favorites is my husband’s katsudon. Already a subscriber to JOC. chirashi sushi is definitely my fav! Takikomi Gohan is my favorite- especially with gobo root and miso. Thanks for teaching me how to make this delicious meal. Oishii! I have been following you for several delicious months. I really enjoy Takikomi Gohan. I love plain white rice with just about everything. Nice cold tofu and Japanese pickles along with a good quality white rice is the best! I like fried rice with lots of veggies. I mix brown rice with bulgar wheat in my rice cooker. I’m a rice fanatic! I love the many varieties of rice. I live in San Diego and the Whole Foods here carries lots of different rice, but unfortunately, not the Komachi rice. I’ve tried green rice, red rice, black rice. I’ve tried all types too (short grain, long grain, broken, carnaroli, etc.). My favorite rice dish is one I started making about 20 yrs ago. It’s made with saffron threads (sautéed with the rice in olive oil or butter) and then steeped with a vegetable or chicken broth until cooked. Delish! I make a risotto with caramelized onions, carrots, celery, and bell pepper, and chicken broth. Anago sushi or unagi donburi. Or chirashi zushi or toro sushi. I really love Onigiri, and pork curry donburi is also one of my fac dishes these days. Forgot to add that I’m subscribed to Just One Cookbook by email. I follow you on Google+ !! …and I already subscribe to you by email! I now “like” Far West Rice on Facebook! Chicken with Long Beans, Walnuts and Onions…and Rice of course! Congratulations on your 2 + 2 anniversary, Nami! I like “plain rice” by itself, but I also enjoy it tossed with sauteed or steamed veggies, or in rice pilaf. Best wishes and thanks for this giveaway opportunity! I love oyakodon rice dish. I already follow you on G+. I used a lot of short grain rice for making sushi and I cooked it daily for my family meals.I would like to try Komachi rice and taste the difference between this rice and the one I have been cooking for years. Shrimp-Fried rice is my favorite. I Like Far West Rice on Facebook. I love the Japanese rice plain and am already a subscriber. My favorite dish is onigiri. I love the white steam Japanese rice. Specially the one used for Unagidon. When my husband goes out of town, I make a huge batch of Japanese style fried rice and eat it for breakfast, lunch, and dinner. I LOVE it. With a recommendation like that, I can’t wait to try this rice. I am an avid follower. Would love to try the new Komachi Rice from Far West. Rice is one of our favorite foods and we have many favorite dishes. One of our most favorite is a simple rice pudding. The recipe I use is from my mother who made it when I was very young (in the 1940’s). I’d be glad to share it! My favorite rice-oriented dish is definitely onigiri. I love nori, and I love good quality rice, and this hilights them both! My favorite dish with rice is Katsudon. Chirashi sushi with almost any variety of vegetables and fish! New follower of Far West Rice on FB. New follower of Just One Cookbook on FB. I love rice at my local Japanese restaurants, but I can’t find short grain rice where I live, so I haven’t been able to fix it myself. I just liked just one cookbook and love getting new recipes from you in my email!! I love a great fried rice. My favourite rice dish is chicken fried rice. I love all rice dishes except curry. I love red beans and rice! I am a loyal follower of your website. I really like matsutaki gohan. I find it to be a very comforting dish. Japanese rice is the best. Appricate the people who make such good rice. My favorite rice dish is basically just plain rice. My favorite rice dish is the Filipino ‘Sinangag’, which is garlic fried rice. This is great for breakfast, served with salty dried fish, eggs, tomatoes. But it’s such a family favorite, we also have it for lunch & dinner. I already follow you on Facebook & Twitter & subscribe to your blog. Thanks for sharing, Nami. Congrats on the blog anniversary. Hope to win! I have many, but I like jambalaya, chicken fried rice, pork fried rice and actually any type of fried rice. To make sushi rolls. Fried rice also. My fave rice dish would be onigiri. I can’t get bored of eating it everyday. it has to be Sushi! Ooooo this is gonna be fun! Already a subscriber to email. Already a subscriber on Google+. Already a follower on Facebook. Kimchee fried rice, over easy egg on top!!! I already follow just one cookbook on Facebook AND get J.O.C. Via email too!! My favorite rice dish would have to be Mongolian Beef over rice. Always have been a fan! I have so many favorite rice dishes, but coconut rice is one of the top ones! I liked Far West on FB! I follow you on Pinterst! my favorite is tenpura donburi. My favorite rice dish is Ochazuke! I already follow Just One Cookbook on Facebook. My favorite rice dish is rice porridge. I like to make it with a blend of rices, so the flavour of the porridge is rich, and eat it with a little kimchi or grilled shredded chicken. Love making rice ball for my grandson! Did you ever read “Why Japanese Women Don’t Get Old or Fat,” by Naomi Moriyama? Very interesting. 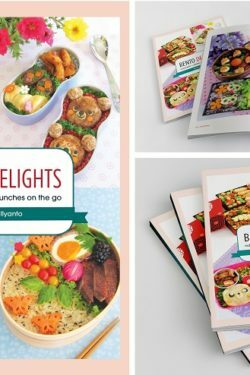 Your recipes cater more to us Americans, but her book has interesting comments about the Japanese lifestyle and food history…. I adore kareraisu! =) Especially at the very end of the meal when there’s just the curry sauce mixed in with the rice. Thanks for posting this giveaway! Hi, I just became a fan of Far West Rice on Facebook, and already follow Just One Cookbook everywhere. My favorite rice dish is ochazuke. I’m a fan of “Just One Cookbook” on Facebook. I liked Just One Cook book on FB. I already suscribe to Just One Cookbook by Email. Just joined a few months ago. I like the rice because it is not gummy like so many of the others. My favorite rice dish is Chicken & Chinese Sausage Clay Pot. My mom would make that for me when I was having a bad day. Now when I have a bad day, thinking about it would cheer me up. Thanks for the give away. I would love to try the rice. I am a subscriber. I love grilled rice balls. Love my new Zojirushi rice cooker and the rice is so much better – you can really tell the difference. I “Liked” the Far West Facebook – and it is great – lots of beautiful pictures and interesting recipes. I’m already a subscriber and follower on Pinterest. My favorite rice dish would be Hyderabdi Biriyani. But I do love sticky rice. Love Rice and beef also love rice pudding. My favorite rice dish is Chicken Fries Rice! I subscribe to Just One Cookbook by email!!! Jambalaya is my favorite rice dish. I love eating plain rice with tsukemono! I liked Far West Rice on facebook and am a new follower. My favorite dish is a tie between gyudon and a ginger chicken doburi that I made up! 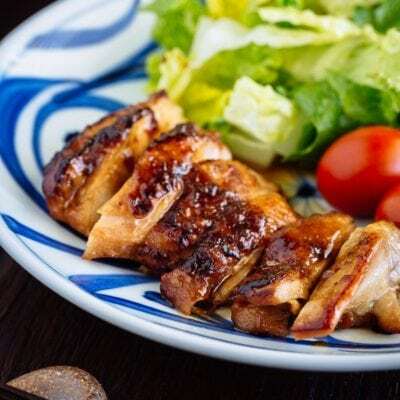 the simple oyster sauce with a little sesame oil with bits of ginger over crunchy lettuce and steamed rice is the best! I already follow Just One Cookbook on Facebook! I already subscribe to Just One Cookbook by email. 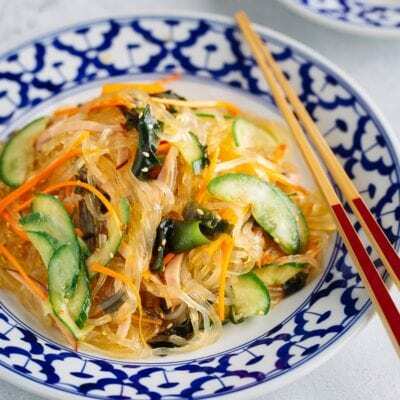 My favorite rice dish is with two fried eggs on top of rice served with cucumbers, carrots and daikon with Vietnamese fish sauce dressing drizzled over all. Another favorite rice dish for me are yaki onigiri. Yum! My favorite rice dish is anything with rice! I love rice! I like to eat plain rice anytime I’m in need of something warm and comforting. 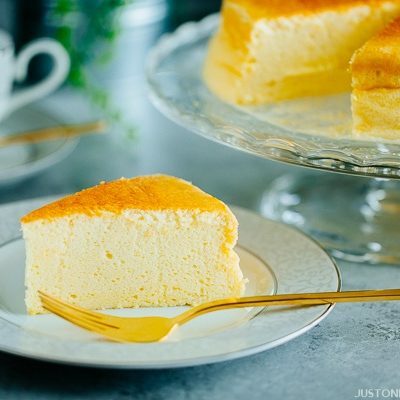 I’m so glad I found your blog Nami, you have so many wonderful recipes. I’m already a subscriber too! My favorite dish I had while in Japan was Katsudon! Rice! 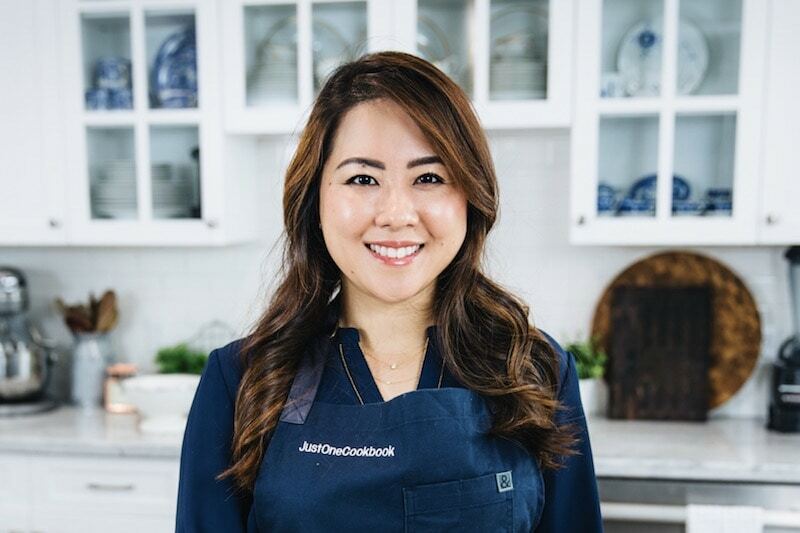 Already follow all of the just one cookbook feeds! Can’t seem to get enough! I am a subscriber and find your site interesting. I love any donburi, but especially chirashi sushi! My favorite rice dish is just plain rice with pepper and butter and salt. It’s amazingly delicious. Even more so than Lucky Charms! heh. I’m already a subscriber by email!! I am a follower on Google+!! Curry Rice is our favorite rice dish, with S&B curry paste. My husband and I love to roll sushi which is my favorite dish! You can create so many different kinds! Favorite rice dish is shrimp curry over rice! I am already a follower of Just One Cookbook on Facebook! I’ve been a follower of your website and love it. Favorite Rice Dish is Oyakadon. I miss the salmon and mayo onigiri from the conbini in Japan. My favourite rice dish would be something called Khichuri in Bengali. It is a dish that can be made with rice, lentil and anything else that your heart desires from vegetables to meat. The dish is versatile, easy to make and my comfort food. It is also colourful (thanks to the use of turmeric and other spices) and nutritious if you load it up with tonnes of veges like I tend to do. Rice. I am a follower of all your links! Love your recipes. Many are just like mom’s. Wow, there are so many rice dishes that I love. It’s hard to say which is my favourite, but the my favourite would have to be Tendon. I love the contrast between crispy Tempura on top of the texture of rice. And the sauce that comes with it is soooooo good. Oh, I love any donburi dish! I love oyakodon especially! My favorite rice dish is tempura donburi. Yum! My favorite rice dish is just plain rice with pepper and butter and salt. It’s amazingly delicious. But I love most rice dishes as long as it has flavor. my favorite rice dish has to be chahaan! I love a nice a bowl of chicken and rice. It reminds me of my childhood. My kids have always loved rice, it’s one of the staples I can turn to when nothing else seems to work. I’ve not tried this one, but looks like I need to keep my eyes open in the market!! Congratulations on the Anniversary! If I had to pick only one favorite rice dish, it would have to be sushi! I love bibimbap, and most rice bowls in general! I love making rice for a side with sweet and sour pork and any kind of stir fry. I also love using it in Paella. We love oyakodon; one of the few Japanese dishes I already know how to make! I am a new follower on Pinterest too! My favorite rice dish is Sushi Rolls. I make them myself at home & would love a chance to sample your product. Thanks! Although I love Asian dishes with rice, I have to say my mother-in-law makes the best rice pudding ever. Cool you got to go see the rice in production. So happy it is also for people in Canada so I can enter. We LOVE japanese rice in my home, and I would really enjoy tasting this one as I’ve never tried it before. I think my favorite favorite way to enjoy rice is with chicken soboro+green peas that are coated with a bit of butter and soy sauce, sautéed mushrooms. I love onigiri too, especially with salmon in the middle. My favorite rice dish is onigiri! I could live off it!! ^_^ Thanks for the giveaway opportunity! Family favorite is bacon fried rice. Delish! My favorite is oyakodon but a bowl of rice with umeboshi is heavenly too. Nattoh on rice with the mustard and shoyu packets. Yum!! My favorite rice dish is a dish with the nametake mushrooms, edamame, wakame, and ginger. Usually a good dish to bring to parties. I love rice. So many ways. Probably my favorite is just plain steamed rice. But I love rice in anything. Except for some of the recipes that call for rice to be served partly cooked, not al dente but still crunchy hard on the inside. Love Spam musubi or any kind of musubi. Already a follower on Facebook. My husband lived in Japan for two years and has introduced me to some of the best food, but I think my favorite rice dish is simple rice with avocado and soya. Yum! my favorite rice dish is grilled onigiri! Another favorite rice dish: Chirashi sushi! ika natto with egg and furikake! I just absolutely love GYUDON!!!! Just a plain ole bowl of rice with some sesame seed oil and scallions! 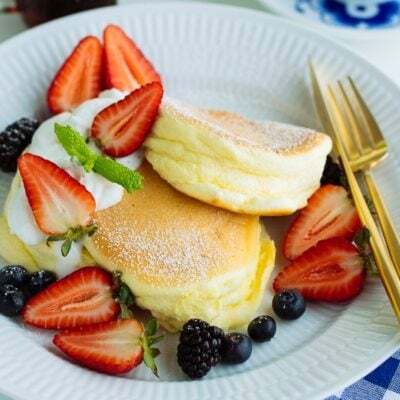 I follow JustOneCookbook on facebook. Plain rice with toasted nori! Another of my favorite rice dishes is inari sushi! My favorite rice dish is just plain hot rice with butter, soy sauce and nori goma furikake. I like really simple when it comes to rice. I love this website, and now I am a new follower on Facebook! I love fried rice! Is that boring? Maybe a bit but gosh, it’s just the best comfort food. I don’t know if I can decide on a favorite rice dish since I use it in so many great dishes! But on a cold day like today, I love ochazuke! I’ve been craving onigiri like crazy! I’ve never tried making it before but would love to try making it with the Far West Rice. I’m in Maryland so, until they sell online, I can only hope to win! I am a follower of your recipes. Love oyakkodon- made some last night using your recipe. It is hard to pick a favorite rice dish! Probably peanut chicken. YUM! Today I’m craving oyakodon… Total comfort food! I’m already a follower of Far West Rice on Facebook! I like rice in sushi! Started following Just One Cookbook on Pinterest! Started following on Google+ as well. Another favorite rice dish: onigiri with umeboshi or tuna/mayo. I love fried rice. Oh yum! I am already a follower of Just One Cookbook on FB. I like Far West Rice on FB. I love freshly steamed rice, Japanese style vegetable curry, with Japanese pickles…Yummm! I love a bowl of steamed rice with Japanese pickles!!! Yummy!! Another favorite rice dish: garlicky chahan! rice burger! like the ones at MOS burger. inarizushi is my favorite rice dish! Woo Hoo YAY! Look at those comments! You rock Nami! Do I have a favorite rice dish? I’ll pick your Chicken Katsu Don. Because I am making Chicken Katsu for dinner tonight. Seriously, I do need to try fresh rice, don’t think I’ve had the pleasure. My favorite dish is unagidon. I am a new follower of Far West Rice on FB! Just looking at your other post reminds me of another rice dish favorites of mine: Grilled Eel over rice! So good. I’ve followed all of your accounts on Facebook, Pinterest, Google + and subscribed by email. My favorite rice dish is a rustic but decadent Vietnamese one: Broken Rice with Pork Chops, Pork Egg Custard, Shredded Pig Ears and Pickled daikon. It’s DELISSHH !!! I especially love Japanese curry rice! That unadon dish looks amazing. I think my favorite rice dish is just simple vegetable fried rice! Omurice is also one of my favorites. One of my favorite rice dishes is inarizushi. My mom makes it and it’s delicious! Fried rice with dried scallops and egg white. Tasty! I love all kinds of onigiri! Hmm…tendon is really good too! Have been a follower for long time, Japanese food is my absolute favorite! Last one: I love yaki-onigiri! I love Chicken Doria! It’s small and filling at the same time. Yay for rice on a college budget! I am already a follower of Just One Cook Book on Pinterest too! I am a subscriber to the Just One Cookbook emails. I follow you on everything and I like Far West Rice on Facebook! My favorite rice dish is katsudon. Yaya Canadians can participate. Favorite rice dish, humm I do enjoy a nice Biryani.